Lighting uses a lot of power in the home but thankfully it is one of the easiest things to change! People can be indecisive and question whether or they not should switch and convert to LED’s. It is understandable as to why people would question this; the initial cost of LED bulbs are expensive in comparison to halogen bulbs which is immediately off putting for a lot of people. 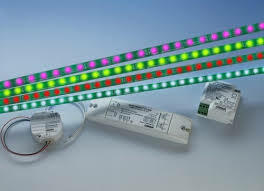 There can be a lot of questions surrounding LED’s, can they be dimmable, do I have to change all the bulbs if one goes in a circuit, how to I choose the LED equivalent to my current bulb? Don’t worry, these are all normal questions and it can be daunting trying to figure it all out! This article is here so you don’t have to figure it out on your own – and if it’s not enough, we are always more than happy to help in any other way we can! Just ask. The first biggie is the price of LED’s; yes they are expensive but don’t let this put you off, it is the payback time calculation that is important! Over a year, LED’s will save you a lot more than any other bulb, so it may be tempting to purchase a cheaper bulb at the time, but looking into the future, you will be much better off purchasing a LED bulb in the first place. 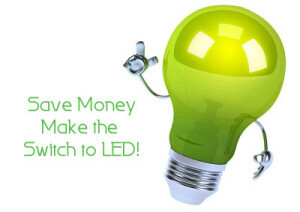 If your light is dimmable but you want to save money, that’s not a problem! – LED’s are also available dimmable. You just need to look out for the dimmable logo on the packaging! If this is the first time you are using LED’s though, you need to be wary about the dimmer switch. It is likely the dimmer switch will need to be changed to accommodate LED’s; normal dimmer switches handle approximately 240W but LED’s only give out 30W so they wouldn’t be compatible. Certain bulbs already have a built-in circulatory to manage dimmers, but there isn’t a specific way to tell if you have these bulbs, the only test is to change the bulbs and if they flicker then you know you need to change the dimmer switch. Dimmer switches aren’t expensive, they cost the same as normal switches so rest assured, you wouldn’t be forking out for a new dimmer switch. You also need to take into consideration that the driver may also need to be changed when it comes to converting to LED’s, in a mains circuit there shouldn’t be a problem to immediately switching them out, but quite often the driver would need to be changed to an LED driver. Transformers can be overpowered for the small amount of electricity the LED’s need. Changing the driver would require the help of an electrician, but the cost of this, wouldn’t outweigh the overall saving you would get from the long term use of LED’s. Colour temperature is a big deal when it comes to LED’s, and it’s mainly all down to personal preference. LED’s are measured in Kelvin, and the colour of the light can vary – you can get a cool white and warm white. 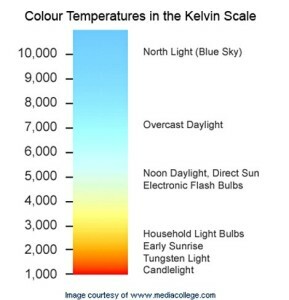 The lower the number of Kelvins, the warmer the colour of the light and the higher the Kelvins, the whiter and brighter the light. There can be certain light colours for certain rooms, if you look at the diagram (pictured above), it identifies it more clearly. 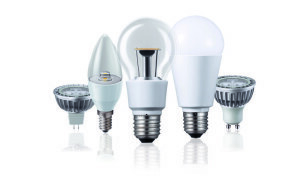 Once you’ve changed to LED’s simply throw away or recycle your old ones; to find out where you can go to recycle, follow the link by clicking here. Please make sure you are NOT throwing away CFL’s though because they contain mercury. Overall, we think switching to LED’s is a great idea and we hope this article has also swayed you to changing; to begin with there is some uncertainties – like the possibility of having to change the driver or dimmer switch – but these are minor blips and in the long run, it will so be worth it! Once you’ve decided to switch, find out which lights are on the most in your home and convert these to LED’s, this will ensure you are getting the maximum saving. 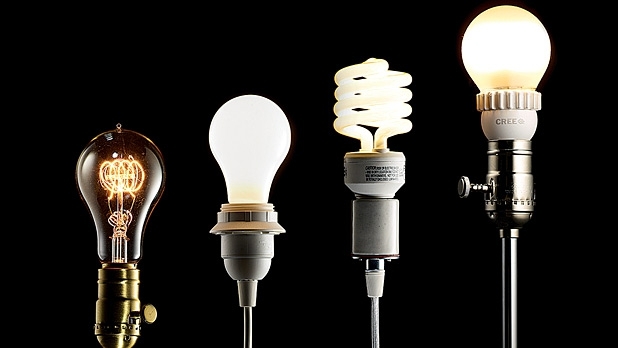 The technical aspects of bulbs can be tricky when you are figuring out the LED equivalent of your original bulb; the general rule is that the wattage of LED’s tends to be 10% of the wattage of normal bulbs. Ensuring you have the correct fitting is also essential, it is advisable to take your old bulb with you when you go shopping so that you know it definitely fits! We hope this has helped and if you have any other questions or would like more clarity, we are always happy to help. Do I need a Professional Lighting Designer?